The Schlock Mercenary store¹has sections for sale-priced merchandise, and clearance items. Either category (or perhaps both!) may help you meet your holiday shopping needs. 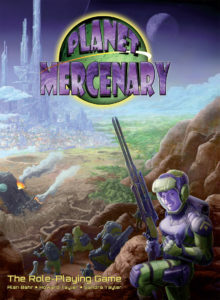 Of note, the Planet Mercenary RPG is currently discounted to just $40. It includes over 200,000 words of encyclopedic in-universe information that you can enjoy without doing any role-play at all. 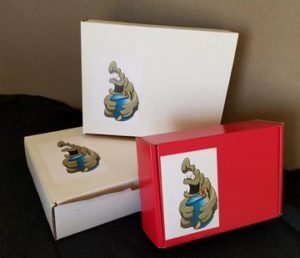 We also have Mystery Boxes for just $25, each of which is guaranteed to have $70 worth of merchandise contained within. Place your orders by December 18th in order to ensure delivery in time for an under-the-tree presentation² here in the United States. International orders should be placed sooner, and the deadline is more difficult to pin down. ¹ If you’ve shopped with us in the past you may notice that the new storefront³ lacks Schlock Mercenary branding. We’ve changed storefront providers, and haven’t yet applied any window-dressing. Rest assured that this is our store, though. ² We’re talking about a Christmas tree, but other trees will work. Or no trees. Delivery will be in time for you to place your gift wherever you’d like its recipient to find it on Christmas Day. ³ Changing technology (and delays in its implementation) necessitated a move from Volusion, our host for over a decade, to Shopify. We’re quite happy with our new home at Shopify, and plan to decorate it soon⁴.